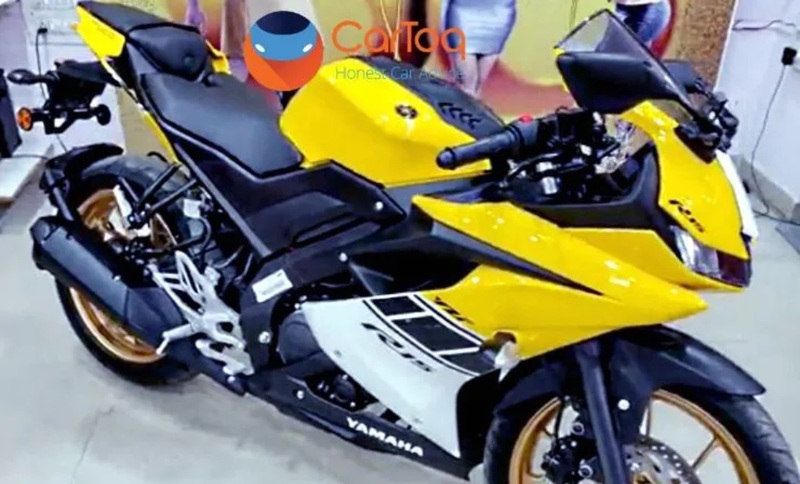 The Yamaha R15 V3.0 has been spied in India in a new yellow paint scheme, courtesy Cartoq. The publication claims it to be an official colour option from Indian Yamaha Motor. At present, we aren't sure if this an official colour scheme from India Yamaha Motor, or a dealer-level modification. That said, we aren’t sure whether this is a dealership-level mod job or an actual new paint scheme for the Yamaha R15 V3.0. While a yellow colour option is available for the YZF-R15 V3.0 in Indonesia, it is entirely different from the one seen in the image. The yellow paint scheme is inspired by Yamaha’s racing heritage with sporty black and white decals. Apart from the new colour option, the Yamaha R15 V3.0 remains unchanged. Incidentally, on 6 December, we reported about a yellow R15 V3.0, which was nothing but a dealership-level modification. 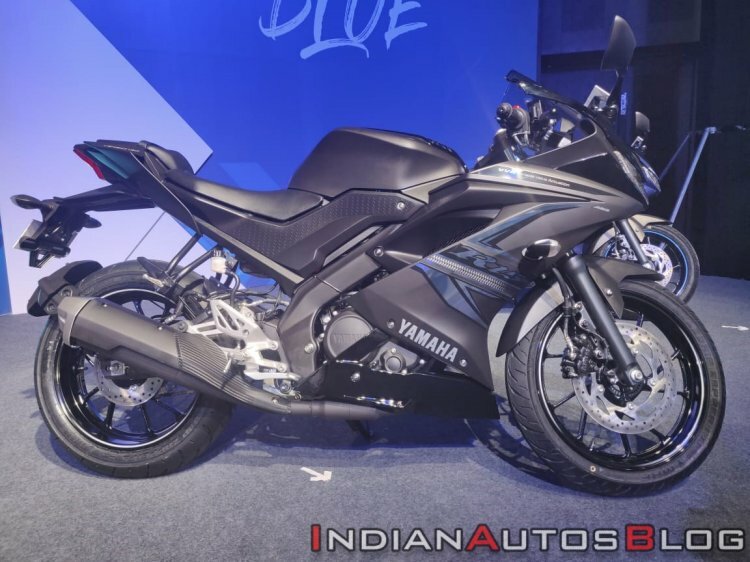 On 10 January, Yamaha launched the R15 V3.0 ABS variant in India, along with a new Darknight colour scheme, priced at INR 1.39 lakh* and INR 1.41 lakh* respectively. While a few Yamaha dealerships continue to sell the non-ABS models of the R15 V3.0, the variant will be discontinued as the new safety guidelines come into effect from 1 April 2019. The company introduced the Yamaha R15 V3.0 ABS Darknight paint scheme in January, priced at INR 1.41 lakh*. The design of the motorcycle is inspired by the flagship Yamaha YZF-R1. The Yamaha R15 V3.0 features twin LED headlamps and a slip and assist clutch as standard fitment. The bike is powered by a 155.1cc, SOHC, liquid-cooled motor that churns out 19.1 bhp of power and 14.7 Nm of peak torque, while a six-speed transmission transfers control to the wheel.